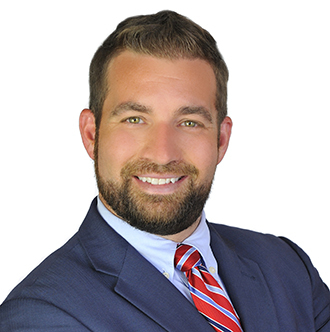 FordHarrison LLP, one of the country’s largest management-side labor and employment law firms, is pleased to announce that David M. Gobeo, who was recently named Office Managing Partner of the West Palm Beach office, was appointed to the Board of Directors for the Chamber of Commerce of the Palm Beaches. “I’m honored to have been appointed to the Board of the Chamber. I look forward to being a part of all the great things the chamber does to better our community,” said David. David focuses his practice on the representation of management in a broad range of employment matters including against claims of discrimination, harassment and wage and hour violations. David routinely handles lawsuits involving the Fair Labor Standards Act, the Age Discrimination in Employment Act, the Family and Medical Leave Act, the Americans with Disabilities Act, Title VII of the Civil Rights Act, and the Florida Civil Rights Act; as well as litigating non-compete and trade secrets matters. David also represents clients in charges of discrimination before the Equal Employment Opportunity Commission, the Florida Commission on Human Relations, and various local agencies. David also advises clients on the use of employment policies and procedures to reduce litigation risk. He earned his J.D. from the University of Florida College of Law.